On Wednesday evening, June 7, Madison iceboater Bill Mattison will be inducted into the Madison Sports Hall of Fame Club at its annual awards event to be held at Monona Terrace in Madison. 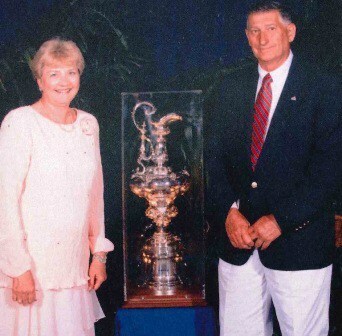 During his 72-year career as an iceboater, Bill has won countless local, national and international championships in what he describes as the most fickle of sports. You’ll also find Bill’s name engraved on Mendota Yacht Club’s trophies for championships won in class C, E and A Scows. It’s safe to say that no one in the history of MYC has won more trophies in more classes than Bill Mattison. Bill’s skills as a builder earned him a place as head of the shore crew on three America’s Cup challenges: Heart of America in 1986, America3 in 1992 and Mighty Mary in 1995. 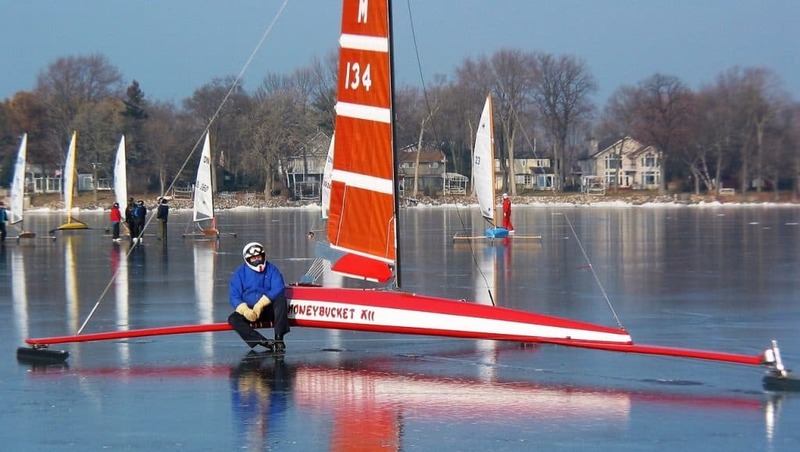 Profiled in Madison Magazine, Isthmus, the Wisconsin State Journal, the Capital Times and on Wisconsin Public Television, Bill is a true sportsman who has gone out of his way to advance the sports of iceboating and sailing, helping others both on and off the racecourse. Whether it was for help splicing a broken mast, repairing a boat, building a fast (aren’t they all?) 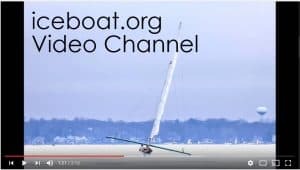 iceboat or making a new shroud, for more than a half-century Madison iceboaters and summer sailors turned to Bill for help and advice. Even though he’s retired from iceboating, sailors still seek him out for his knowledge on everything iceboat. Perhaps that’s why he was recognized as one of the “Three Kings of Iceboating” at Chicago’s Strictly Sail in 2009. Bill joins Carl Bernard and Peter Barrett as the third sailor in the 54-year history of the Madison Sports Hall of Fame Club to be inducted. Tickets for the Madison Sports Hall of Fame Club dinner and induction ceremony on June 7 (5:30 pm social; 7 pm dinner) at Monona Terrace are $50. To reserve your seat, please call Peg Mueller at 608-238-5907. Because we are expecting iceboaters and summer sailors from near and far to show up, call for your tickets right away. Be sure to tell Peg that you want to be seated at the Mattison guest tables. With so many sailors in town, there’s bound to be an after-party, too.